Namibia's stunning landscapes offer red sand deserts, rugged mountains and breathtaking coastal views. That is just the beginning of the many treasures ecotravelers will find. In 1990, Namibia gained independence from South Africa and has never looked back. It is a country of geological extremes that make visitors gasp in awe and imagine the powerful natural forces that created places like the ancient Namib Desert, the Skeleton Coast and the Fish River Canyon, and that is just the beginning. It is also one of the best places to see the wildlife that most people only see in zoos. The Etosha National Park and the Namib–Naukluft National Park are home to elephants, black rhinos, and cheetahs. 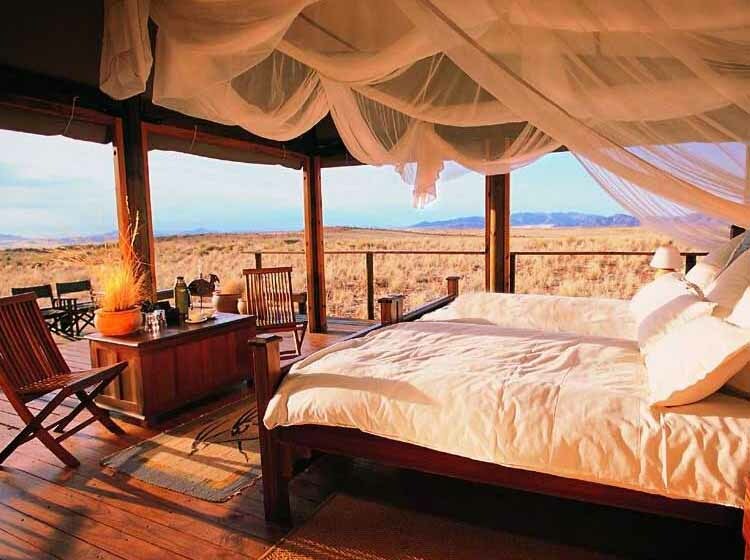 Ecotravelers can go on safaris and camp under the stars or stay in "green" camps or lodges. This has to be one of the best places on earth for travelers looking for a place where the human's footprint is nowhere to be seen.